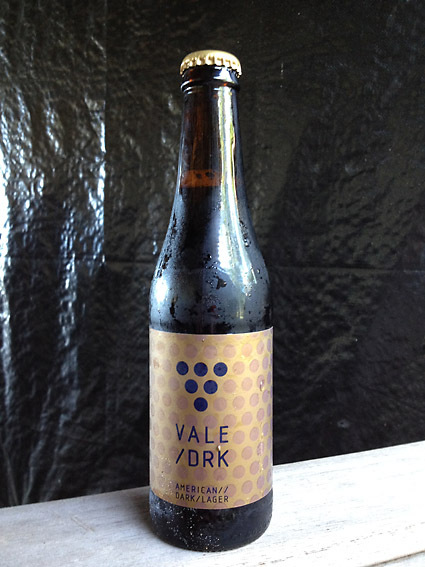 Vale DRK (no it’s not a typo) is not a valley in the Democratic Republic of Korea, rather an American Dark Larger brewed by the the innovative McLaren Vale Beer Company. The packaging is slick and modern but the taste is somewhat Old World. Talking of sauce that rocks, here’s one of the stars of ye olde SAS Ball, The Drkness with “I Believe In A Thing Called Love”……………..
Red Trolley, yellow trolley, tread lolly yerrow rorry………. easy for you to say. 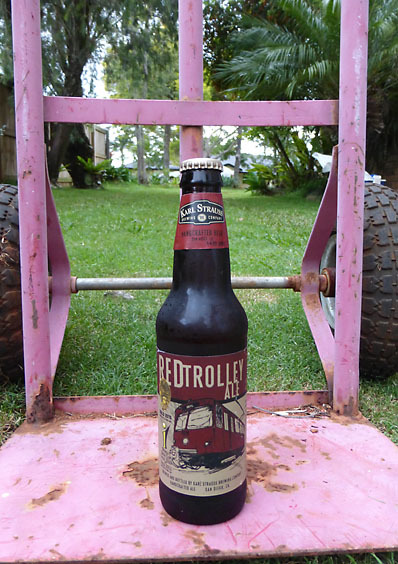 Red Trolley is an American ale with an ‘Irish’ flavour. Brewed by the Karl Strauss Brewing Company, it’s departure from their feisty Pintail pale. Strauss calls this a ‘seasonal ale’ and it certainly has a winter feel to it. It’s a deep reddish brown and only very lightly carbonated. There’s caramel and rich, Christmas cake flavours. I’d prefer it with a bit more fizz, or maybe in a pint glass in front of roaring fire. Here’s Nick Cave & The Bad Seeds with ‘Red Right Hand’ …………. Nelson’s McCashin Brewery have been brewing organic ales since 1980 and competing in a market dominated by brewing giants. It’s a family affair and you can feel the love in this unique KPA (Kiwi Pale Ale). 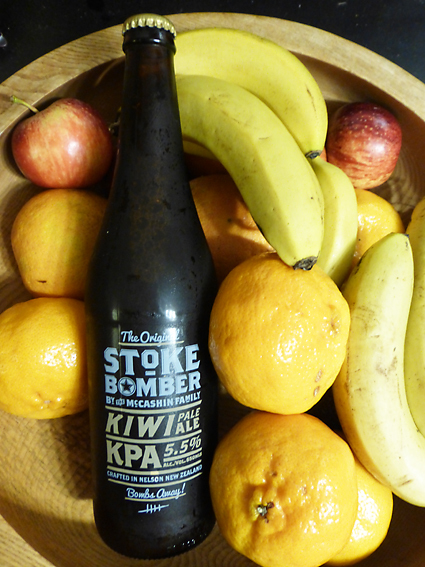 Possibly the world’s only KPA, it blends both American and English styles of pale ale. A rich amber red in colour, it balances the bitter hopping of the Yanks with the toffee/caramel overtones of the Poms. The result is something quite special. Bombs away indeed. Thank you, thank you, thank you Darren, thank you! Me mate Daz recommended this stout a while back and I’d been saving up to buy a bottle ever since. At $10.99 for a 640 ml bottle, this is not an everyday purchase but WOW! it’s worth every cent. Forgetting what I said about real craft brews, this is a truly an amazing stout. Dark and mysterious, it pours smoothly into the glass, leaving a tobacco-tinged head. It’s thick and creamy with the sort of tight bubbles that you associate with a widget-style brew. Rich and complex, it slides down beautifully, not that you want to rush it. There’s hints of molasses and black jelly babies, even juniper, a bit like a top pint of Guinness with a Geneva Gin in it ……… a Ginness? And it’s potent too. At 9.5%, it’s not to be messed with but, treated with respect, it’s quite an experience. Are you experienced? Have you ever been experienced? 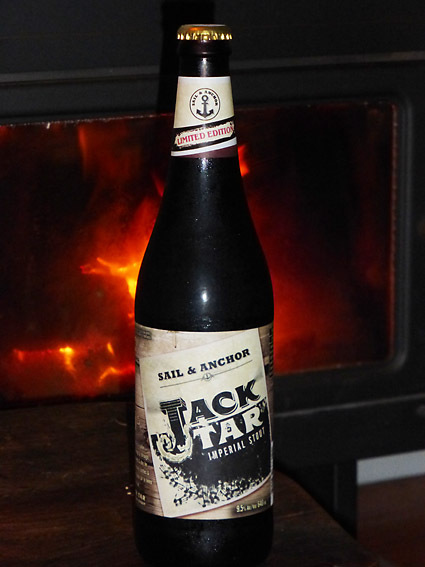 If I was to give give stars in my reviews, I would give ‘Jack Tar’ 5 stars! 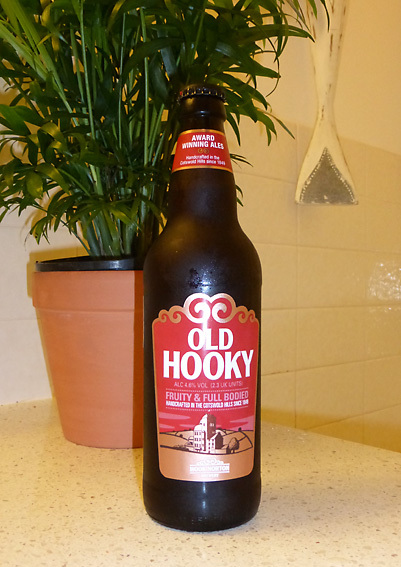 Another brew from the historic Cotswolds-based, Hook Norton Brewery. These people have been putting smiles on faces since 1849. Today the brewery offers tours, owns 40 pubs and still delivers ale locally by a shirehorse-drawn dray. Carbon neutral delivery, I like it! Cloudy copper in colour, it has an aroma of fruit and flowers, like a hospital waiting room without the disinfectant. 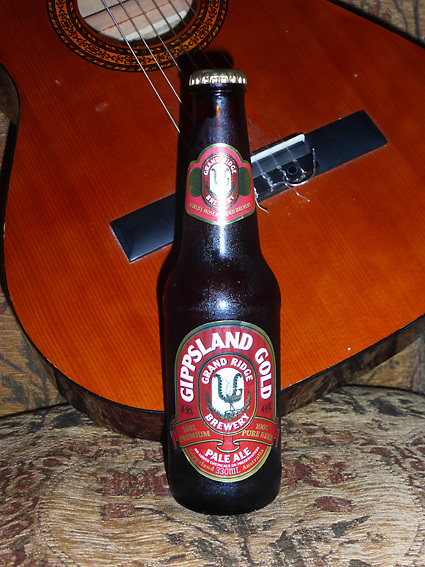 Very English in style, it tastes like christmas: dried fruit, spices, brazil nuts and ….. well, beer. I like it. In fact, I like it a lot. It’s kind of got me hooked. Here’s Hooked On Classics ……… only kidding. From Hooky we get Peter Hook, or “Hooky’ as he’s known (could have gone straight to ‘Hooky’ there really) from New Order with ‘Confusion’. Quite apt really! I used to have one side of a C90 filled with this. Readers of yesterday’s post will now know that WA “craft brewer”, Little Creatures is in fact owned by Lion. The Australian Real Craft Brewers Association states, ‘a craft beer must be independent, traditional, and 100% Australian owned, with no ownership or control by a major brewer, such as Lion.’ Lion is owned by Kirin. Kirin is probably owned by the UN World Police and uses its products to pacify the globe as it takes over. Any way, I wasn’t going to let this go to waste ……. 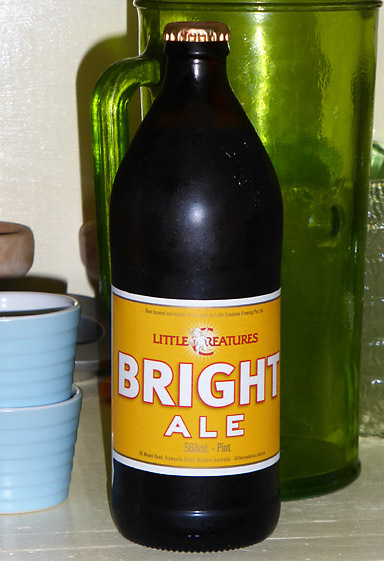 Little Creatures Bright Ale – burning like fire ……. This is indeed a bright ale, so bright you’d be forgiven for thinking it was a lager. It’s clean and fresh with a nice floral aroma and once tasted, you know it’s an ale. There’s hints of yeast and a hoppy bitterness with fresh apricot undertones. One for the summer but, (World Police or not), this one’s a winner. Here’s Melbournian songster, Whitley from his quite brilliant 2009 “Go Forth, Find Mammoth” album, with ‘Bright White Lights’……………..
First world problem no doubt, but big business trying to pass itself off as small business is worth getting angry about. Just as real craft brewers are worth supporting. 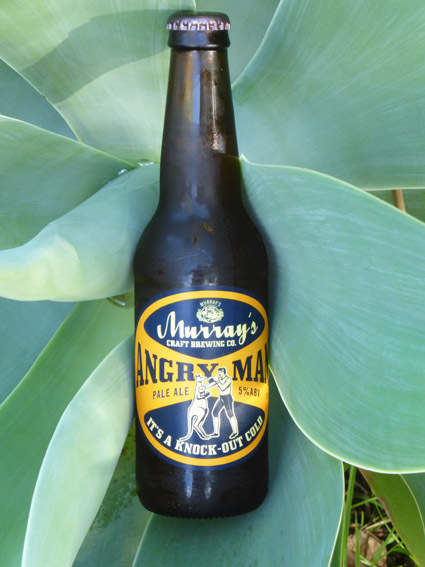 Murray’s is a real craft brewer, based in Port Stephens, NSW. There are enough beers in their collection to keep me busy for a month. This is a delicious pale ale but almost impossible to drink out of the bottle. Like Murray’s ‘Punch & Judy Ale’ , there is just too much carbonation. 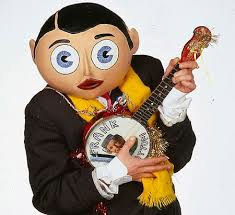 Decanting into glass produces a head bigger than Frank Sidebottom. Once left to settle, and the head has dissipated enough to drink with leaving a moustache, there is a real pleasant surprise. A crisp and refreshing ale with real stone fruit flavours, I taste nectarine and peach with a hint of toffee. Like ‘Punch & Judy Ale’, this may be better from a cask. ‘Don’t judge a book by it’s cover’ so the saying goes. Being quite a fan of the cliche (e acute), I’d say ‘it’s the exception that proves the rule’. 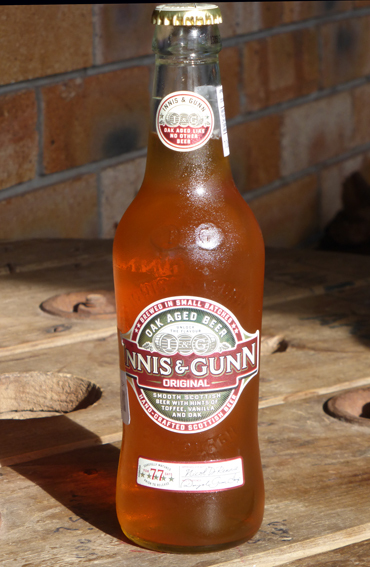 And so to Edinburgh’s Innis & Gunn Oak Aged Original. 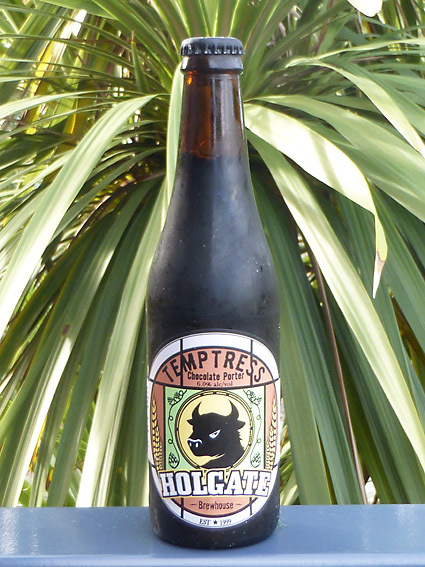 The book’s cover, in this case the label, boasts “Smooth Scottish beer with hints toffee, vanilla and oak”. So let’s judge it. ‘Smooth’, tick; ‘Scottish’, tick; ‘beer’, tick; with hints of ‘toffee’, tick; ‘vanilla’, tick and ‘oak’, tick. The only note I might add is the slightest hint of whiskey in the oak finish but then, it is Scottish. If only every label had such comprehensive tasting notes, my job would be done. Here’s the Last Band in Town with ‘Guns of Brixton’ …… pure dope ….. for gunns.